Welcome to the February edition of ‘The loop / Y ddolen’. In this edition we'd like to know how the Social Services and Well-being Act (2014) is impacting you, you can watch our cARTrefu film which shows the magical impact that creativity can have on us all, we need you to help us build a picture of the needs and aspirations of veterans in Wales and we were delighted that HRH The Prince of Wales recently visited a care home in Neath to see how our cARTrefu project makes a real difference. Age Alliance Wales, an alliance of 23 voluntary organisations working together to improve the lives of older people in Wales, including Age Cymru, want to find out how the Social Service and Well-being Act (2014) is impacting the lives of older people in Wales. Since 2016 local authorities should ensure that people who need social care, and their carers, have their needs assessed. If necessary they should then be provided with a package of care which reflects what they believe matters to them, giving people a greater say in how the services they receive are delivered. In order to establish whether this legislation is working the Alliance have produced a simple online survey aimed at people aged 50+ and their carers, in both English and Welsh. The Alliance has also produced a second survey aimed at professionals working directly with older people, covering the same range of issues around social care. 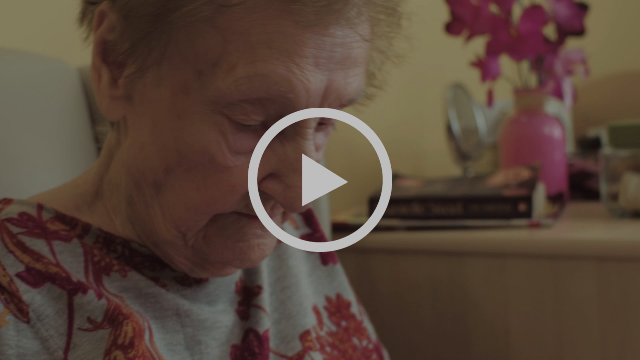 The cARTrefu film was produced in November 2019 in Plas Bryn Rhosyn care home in Neath, part of the Pobl group. It follows Aimee, Alison and Marianne on their journey to a cARTrefu session and shows us the magical impact that creativity can have on us all. The cARTrefu film was created by Clare Sturges and produced by Age Cymru to promote the impact of creativity in care homes through the cARTrefu project. To find out more about cARTrefu, please visit our website. Last chance to help us build a picture of the needs and aspirations of veterans in Wales aged 65 or over. The deadline for our research is fast approaching but there is still time to get involved. Project 360°, a partnership formed from Age Cymru, the veteran’s charity Woody’s Lodge, and Age Alliance Wales, would like to invite anyone who was in any of the armed forces in Wales and aged 65 or over, to help us better understand their day to day lives so we can improve the services they need. We would really appreciate it if you could help us. You can complete our questionnaire online or request a paper copy on 029 2043 1555 which can be returned free of charge. The project also wants to know what would improve the quality of life for veterans aged 65 or over who are unpaid carers. In our initial research we found one third of the people we spoke to had unpaid caring responsibilities. An unpaid carer is someone who looks after, or gives help or support to family members, friends neighbours or others because of a long term physical or mental ill health or disability, or problems related to age. We have produced a specific questionnaire for veteran unpaid carers and their partners to help us in our crucial research. If you would prefer a paper copy, please call 029 2043 1555, the survey can be returned free of charge. We can also come out to speak to local groups or organisations. Please get in contact on 029 2043 1555 or via email to arrange this. Thank you for your time from the Project 360° team. 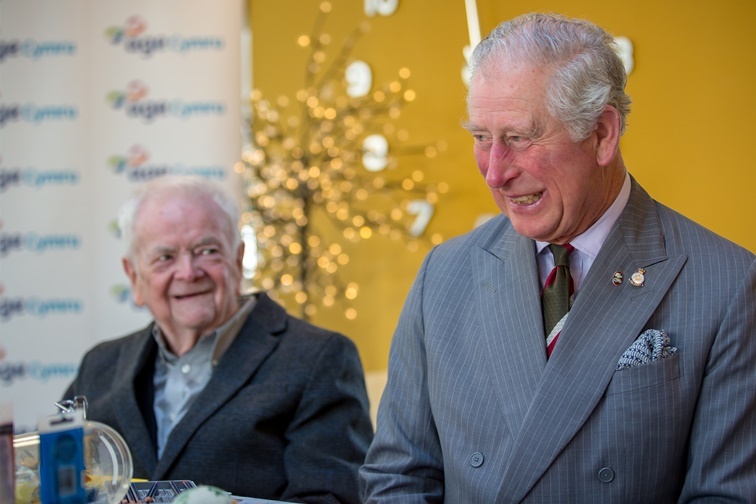 His Royal Highness The Prince of Wales visited Plas Bryn Rhosyn care home in Neath on Friday to see first-hand how a ground breaking arts project is supporting older residents, particularly those living with dementia. The project, cARTrefu - the Welsh word to reside, was set up to increase opportunities for care home residents to take part in creative activities, improve their well-being and in some cases provide new avenues for self-expression. The Wales-wide, Age Cymru project is funded by Arts Council Wales and the Baring Foundation. More than 150 care homes, 1,500 residents and 300 care staff across Wales have taken part so far and the project is said to be the largest of its kind in Europe. The Prince of Wales is Patron of Age Cymru. Copyright © 2019 Age Cymru. All rights reserved.